The total assets of the largest 1,000 U.S. retirement plans reached a record $10.326 trillion as of Sept. 30, up 10% from a year earlier, thanks in part to outstanding market returns, Pensions & Investments' annual survey found. A new detailed breakdown of the state-by-state ratings and additional insights aim to help state budget practitioners "understand and improve their state's critical fiscal practices." The bond bear market, touted by billionaire fund managers Bill Gross and Ray Dalio, is about to run into a multi billion-dollar roadblock. The nation's powerful public employee unions stand to lose membership, money and political muscle at the hands of the Supreme Court this year. The only question appears to be how much. CalSTRS' Jack Ehnes urges asset owners to help lawmakers understand the 'business case' for clean energy. (Georgia) During our third week in the Senate, we continued to make progress and passed two new pieces of legislation. In addition to our work on the Chamber floor, several committees met this week, where bills were analyzed and vetted by members of the Senate. Just before state lawmakers in Colorado began their 2018 legislative session, a coalition of union members took part in a Colorado AFL-CIO rally on Jan. 8 at the state Capitol to draw attention to their priorities, which range from expanding collective bargaining to protecting retirement security. Details explained by University of Illinois math professor. (Kansas) Local lawmakers said Saturday they are excited to hear the new governor's stance on issues like Medicare and K-12 spending. Build casinos right at home in Kentucky: that's the consensus of Bluegrass State lawmakers who wants to bring back gambling dollars they see hemorrhaging over to surrounding states. To that end, a group of Kentucky lawmakers are trying to garner support to put a casino referendum before voters this November. In light of massive changes to the federal tax code, Maryland's elected officials are pushing a variety of proposals designed to lessen the impact on state taxes. Detroit's Police & Fire Retirement System says its investments yielded 12 percent in returns during the 2017 fiscal - gains the fund's managers attribute to "robust" stock market growth and a shift away from past investments in real estate. 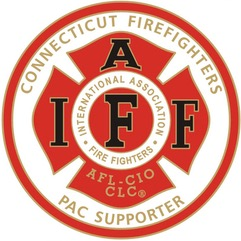 Under new policy, PFRS would shift management from the state to a 12-member board. President Donald Trump promised people that they would start seeing the benefit of last year's tax-reform effort in their checks by February. But officials at the $93.9 billion North Carolina Retirement Systems, Raleigh, didn't want participants to have to wait. Thanks to a red-hot stock market, Oregon's public pension system investment portfolio generated a 15.3 percent return last year, more than double what was expected and sufficient to lop $3 billion or so off the system's $25 billion­ unfunded liability. System has approved nearly $1.8 billion in investments since September. Before Dallas City Manager T.C. Broadnax reflects on his first year at City Hall, he has a question: "Why do we have to do a 'year' story?" Utah, like most places, is struggling to find qualified police officers. What can be done about it? Before police Chief Mike Brown was hired by Salt Lake City in 1991, he and 1,500 other would-be officers crammed into a University of Utah auditorium to begin competing for 30 open positions. The Canada Pension Plan Investment Board has announced three key senior executives will be leaving the organization. Republican state legislators have said throughout the young legislative session that they have no plan to make changes to Iowa's public employee retirement fund system, and that Democrats who were warning of potential changes were fear-mongering.